Looking for a gift for that hard to buy for someone? Give the gift of a bucket list check! They will never forget the experience of floating thousands of feet in the air, among the clouds, and toasting to the adventure that ensued with champagne and gourmet cuisine. 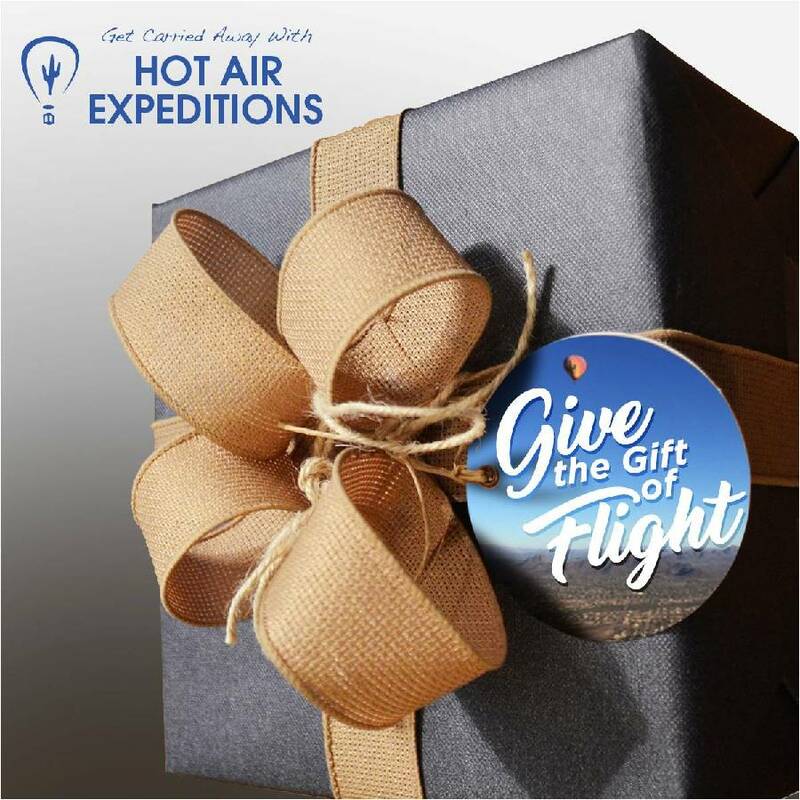 Hot air ballooning is perfect for all ages, and makes a great gift for many occasions, including birthdays, anniversaries, employee rewards/incentives, holiday gifts, and more. NOTE: There is no minimum headcount required for this tour to operate. Gift certificates are valid for one calendar year from date of purchase. Non-refundable. Please allow for alternate flight dates as all rides are subject to weather conditions. Morning flights are available daily, year-round in Phoenix, AZ. Afternoon flights are available seasonally November-March in Phoenix, AZ.